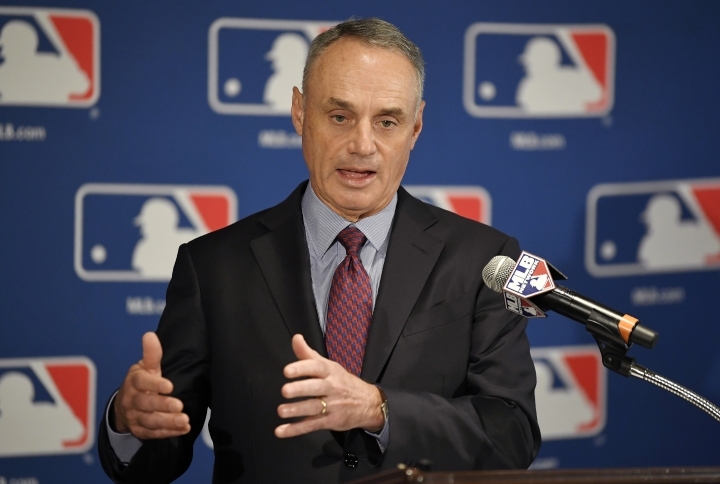 NEW YORK — Major League Baseball and its players' union reached an unprecedented agreement Thursday to discuss renegotiating their labor contract that has three seasons remaining, part of a deal that includes modest rule changes for 2020 and drops pitch clocks until 2022 at the earliest. —As part of the drop in the September roster limit, players may be optioned to a team's spring training facility from Sept. 1 on. The player would continue to get major league service if he had been on the roster continuously since June 1 and losing the service time would deprive him of salary arbitration or free agent eligibility that offseason, but those with split contracts would not receive major league salary.